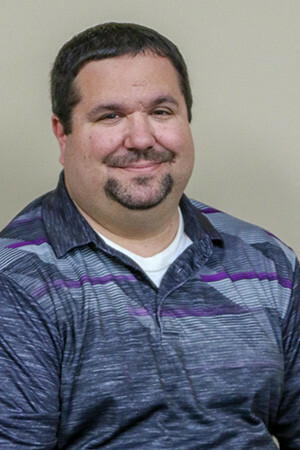 Eric has been with the company since November 2007, and has been managing editor since 2009. He married Kay Young in 2008, and they have twin boys, Ethan and Ryan, who enjoy keeping them up all hours of the night. Eric graduated from Pinconning High School in 2000, and has a bachelor's degree in journalism from Central Michigan University. In his spare time, he enjoys reading, writing, and obsessing about the newest Apple products. He loves gadgets and technology. He also is an avid sports fan, with his favorites being NASCAR and hockey. He is a big Detroit Red Wings fan, and actively follows the Saginaw Spirit of the Ontario Hockey League. He has lived in West Branch with his wife since 2008, and enjoys the many community activities that occur throughout the year. "If you can't find something to do in West Branch, you're not looking hard enough," he said.